The Marvel Chess Collection is a bi-weekly series offering the comic fan and chess lover alike the chance to collect a unique chess set, featuring some of the greatest and most loved Marvel characters. The Marvel Chess Collection consists of the greatest heroes and villains from across the Marvel Universe. 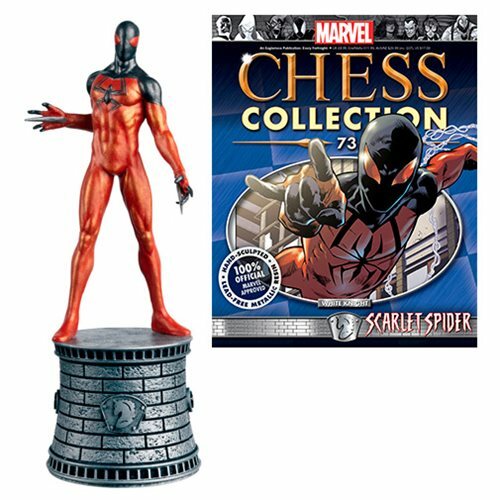 This Marvel Scarlet Spider White Knight Chess Piece comes with a detailed collector magazine #73 and comes in a polybag. Measures about 5-inches tall. Ages 14 and up.